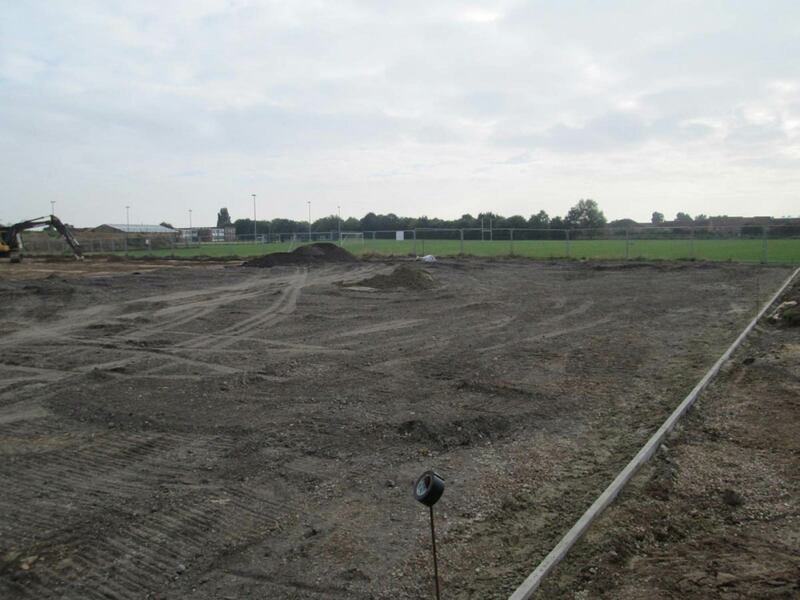 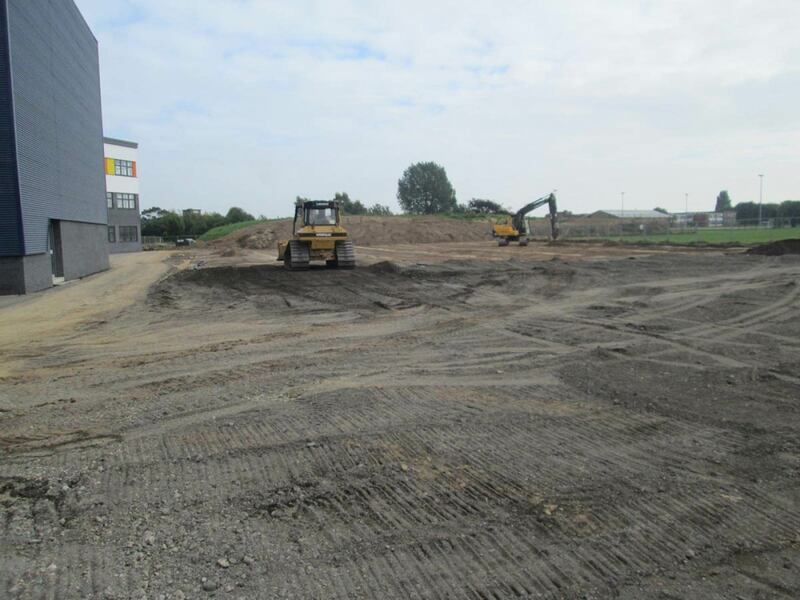 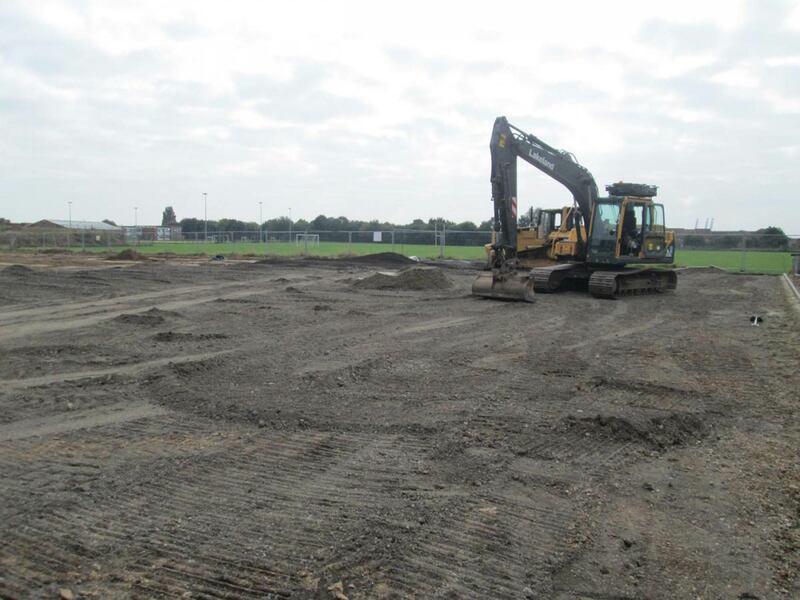 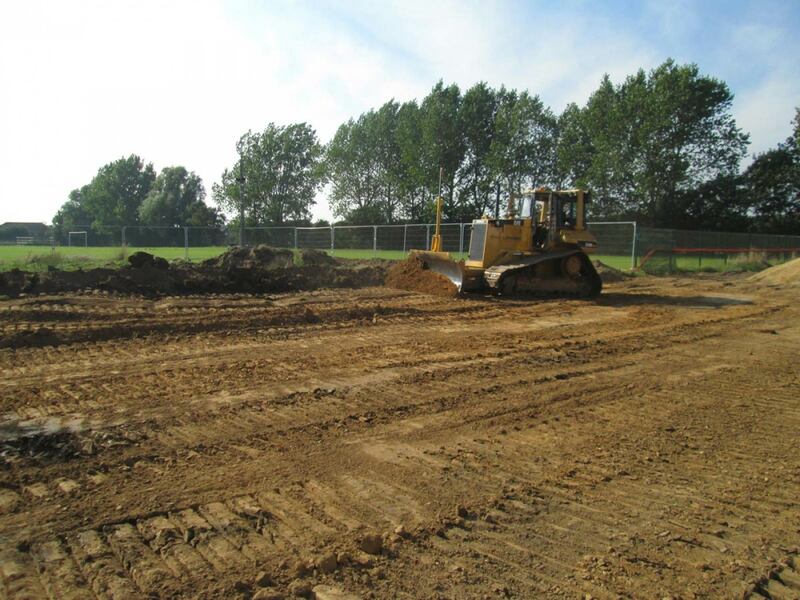 Felixstowe Academy, formed in 2011, is constructing a new building and sports facility as part of a 2011 merger between two neighbouring secondary schools. 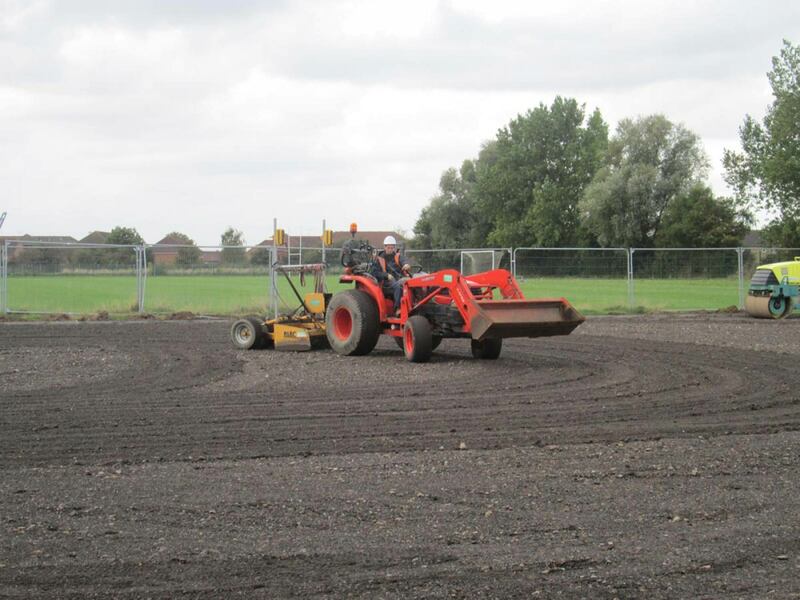 Fineturf were contracted by Balfour Beatty to construct a new Multi Use Games Area (MUGA) as part of these new facilities. 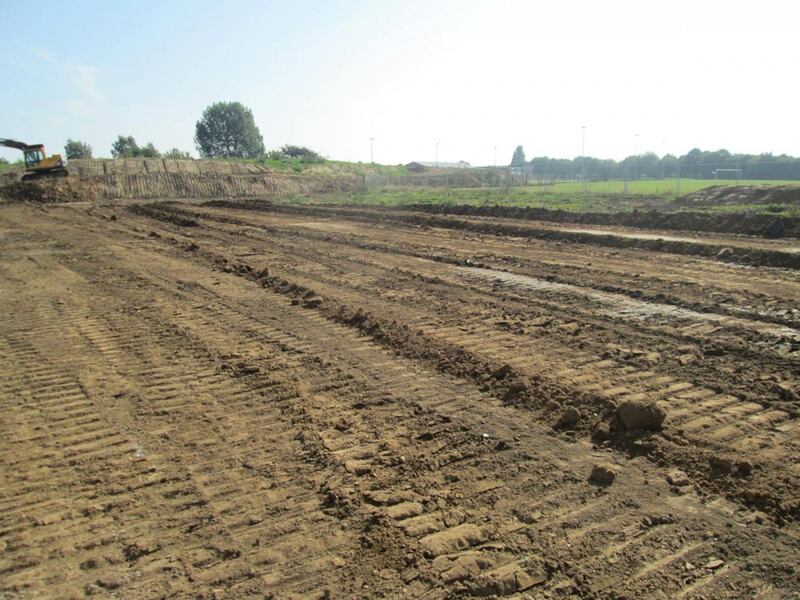 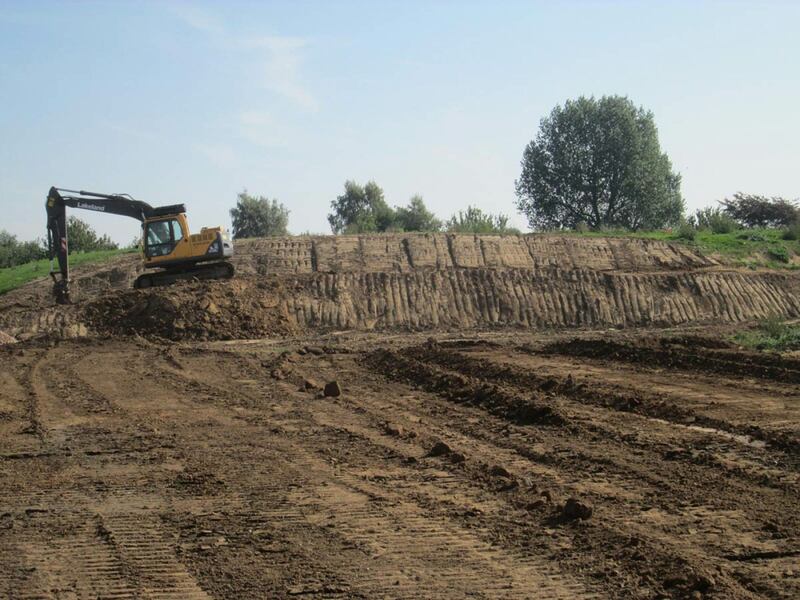 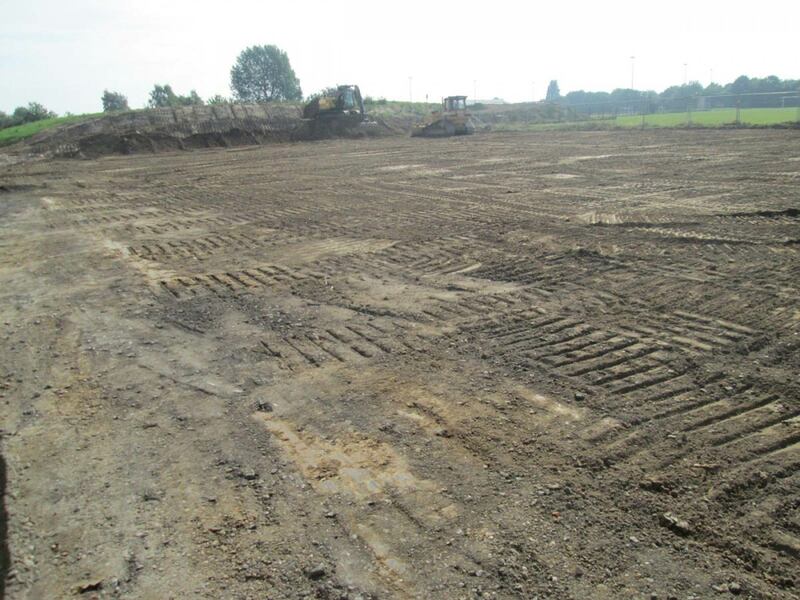 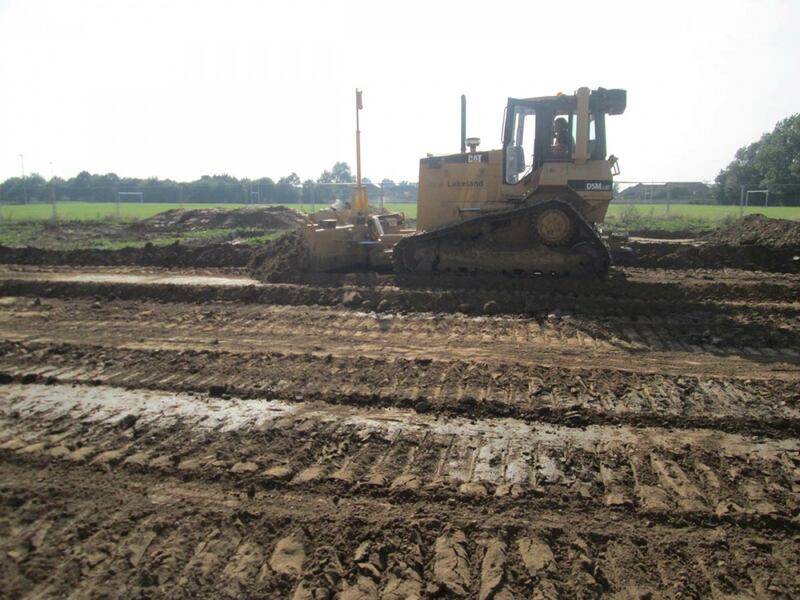 The formation was excavated, which was approximately 3000m2 and primary and secondary drainage installed. 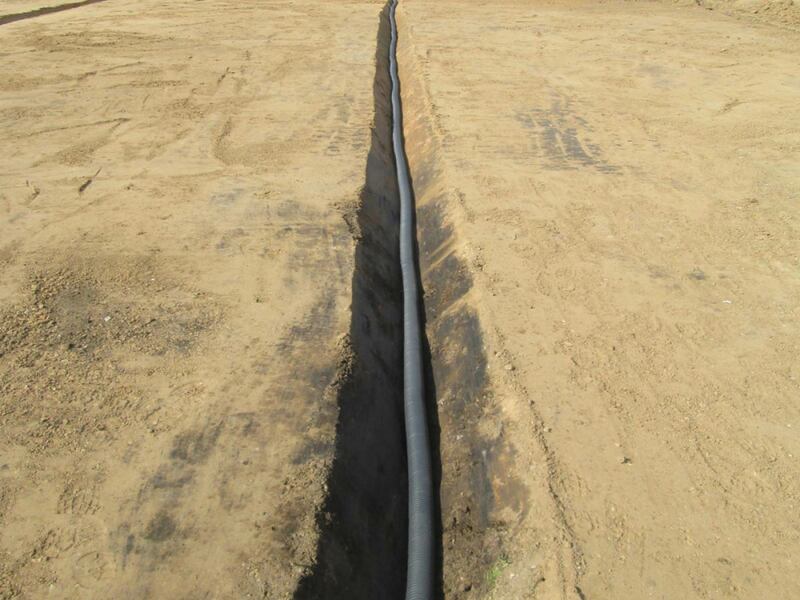 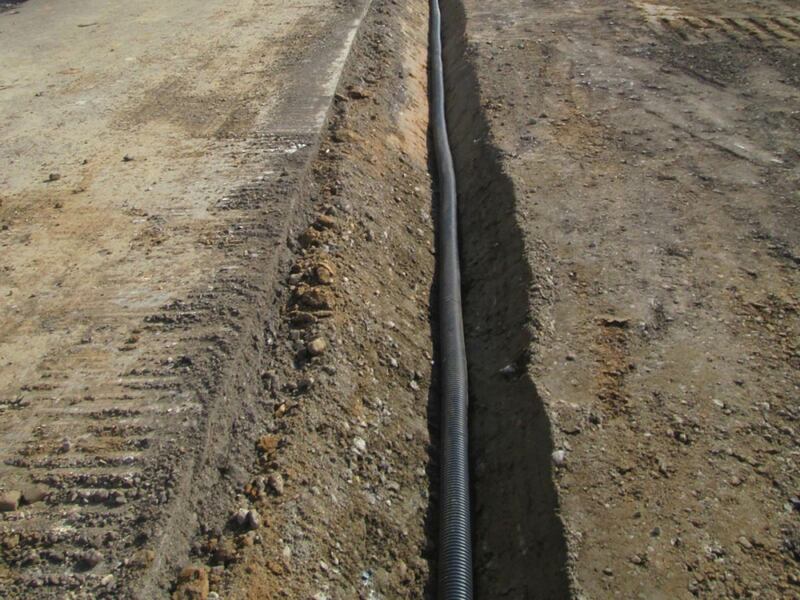 The secondary drainage trenches were cut at 5m centres. 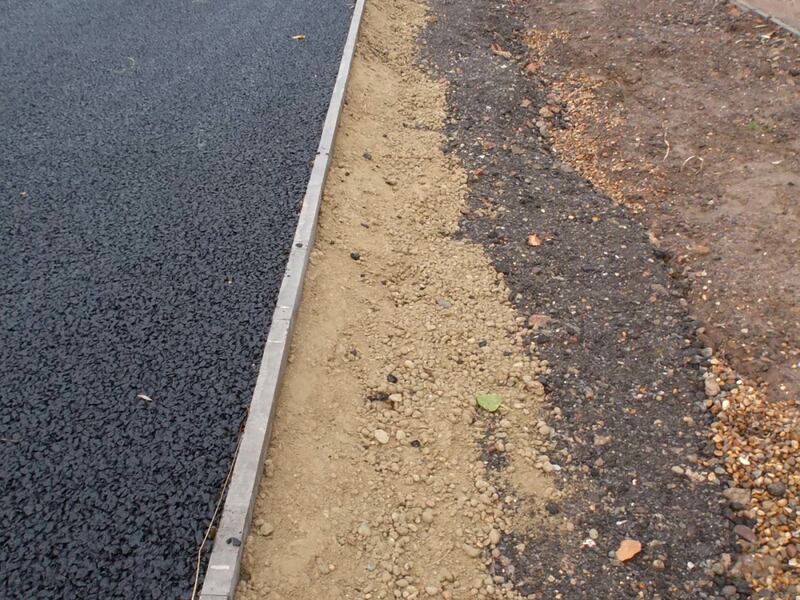 Pin kerb edging was laid to the perimeter and a 250mm layer of recycled stone imported. 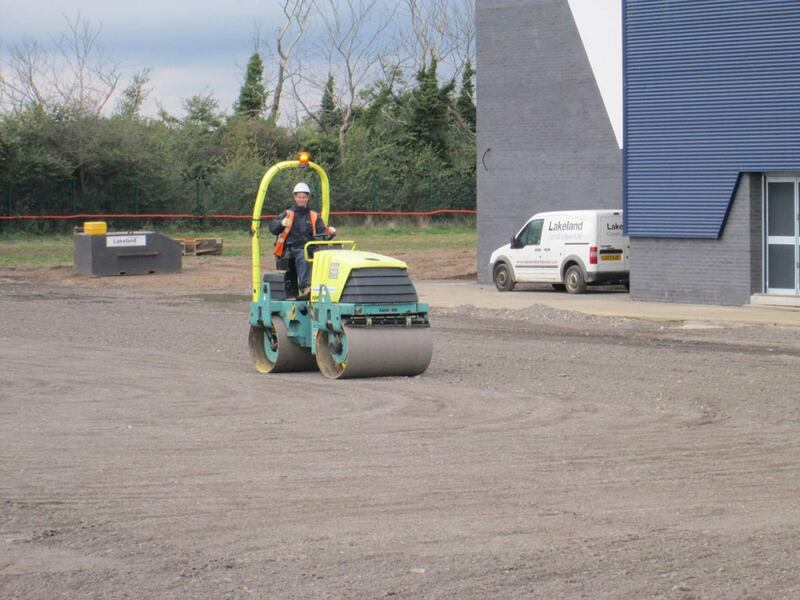 The stone base was then laser graded and rolled. 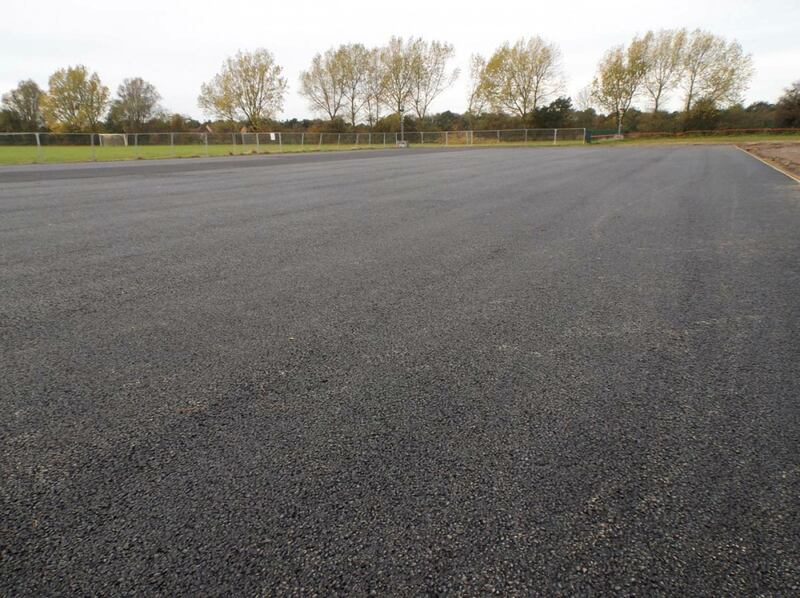 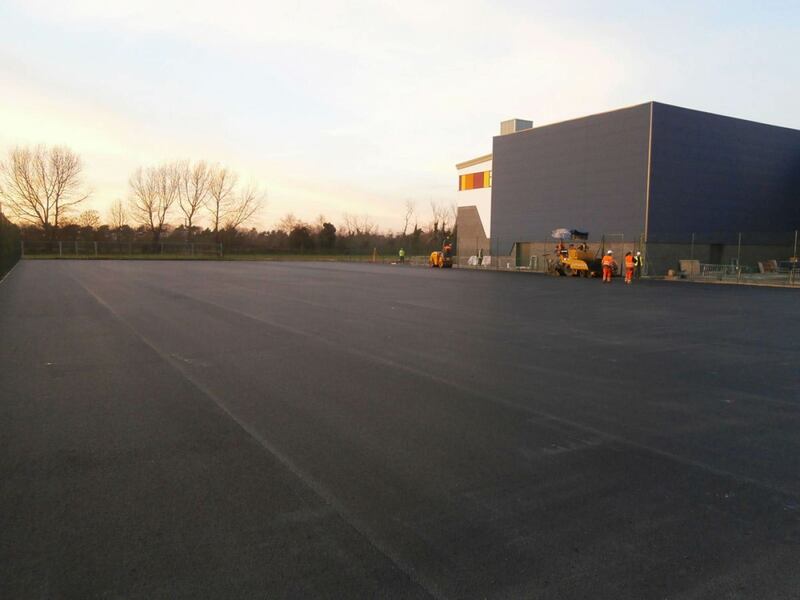 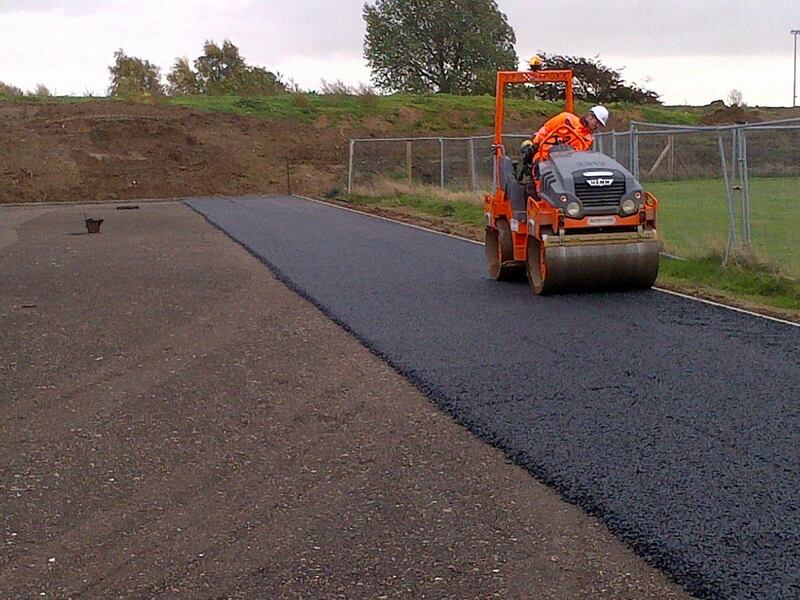 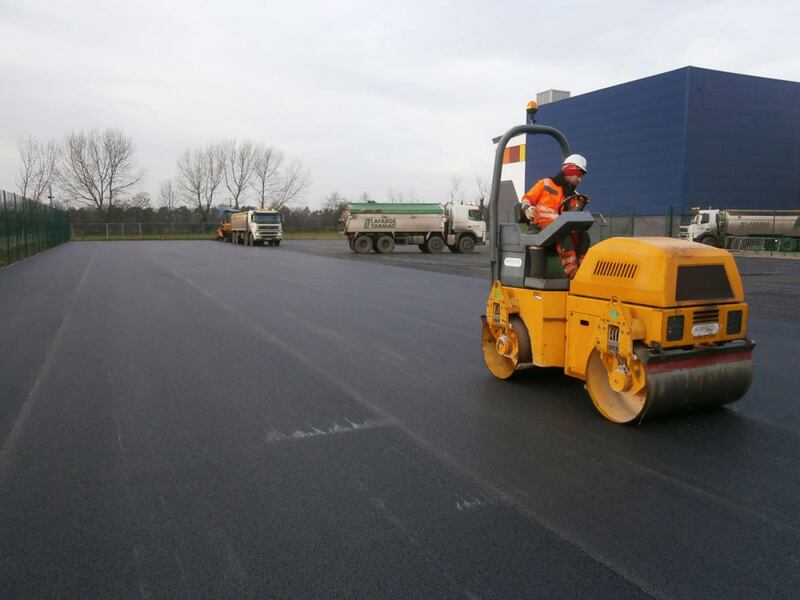 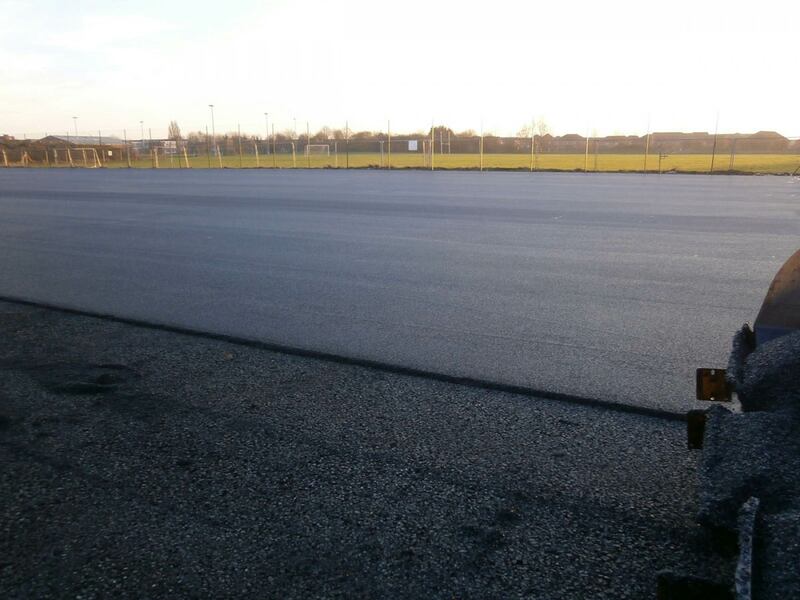 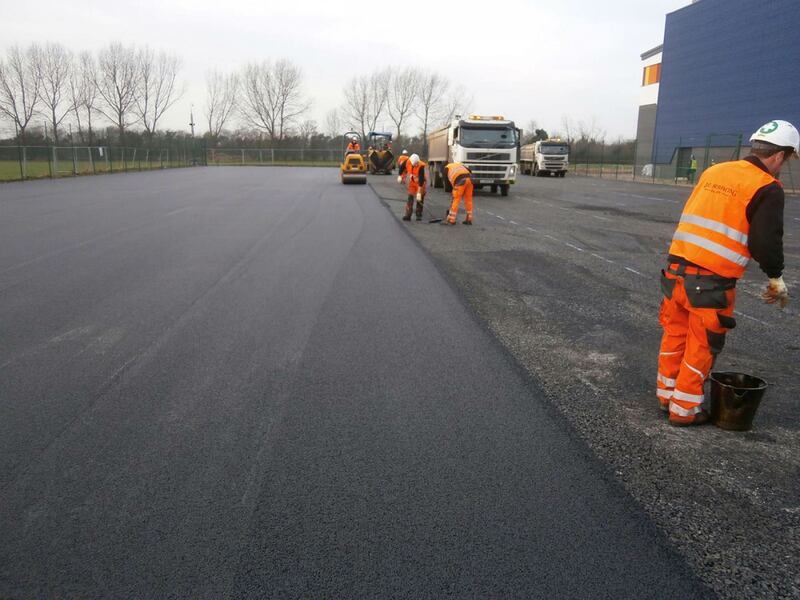 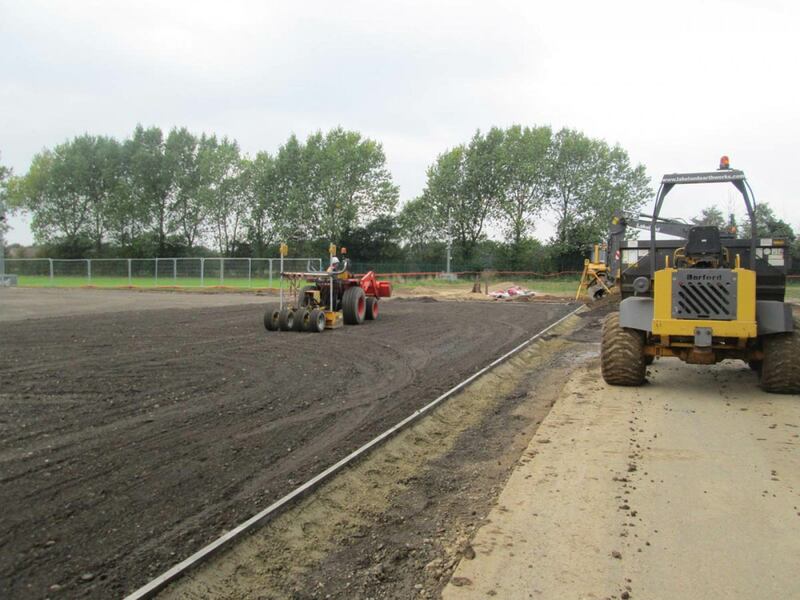 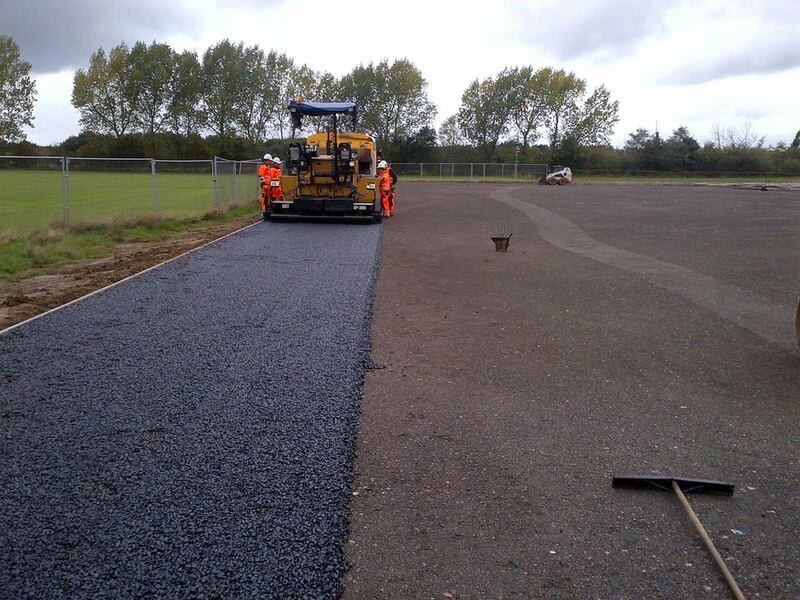 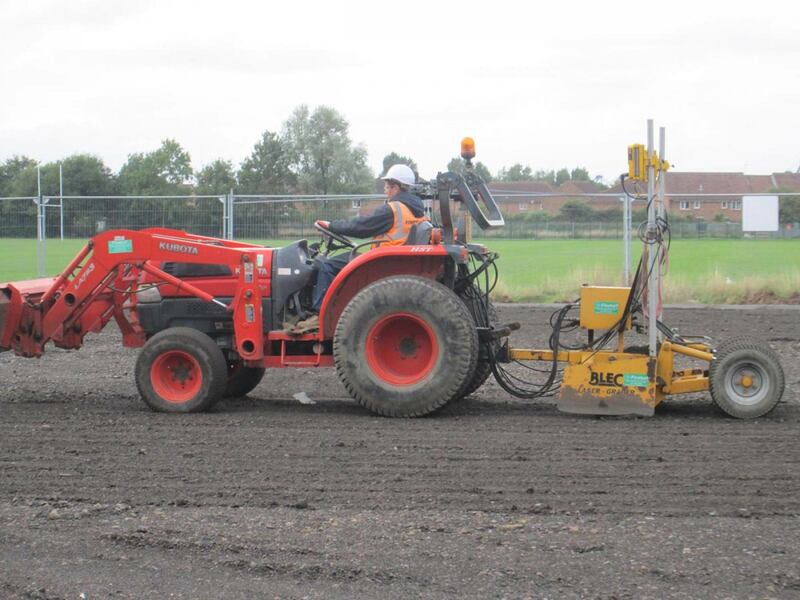 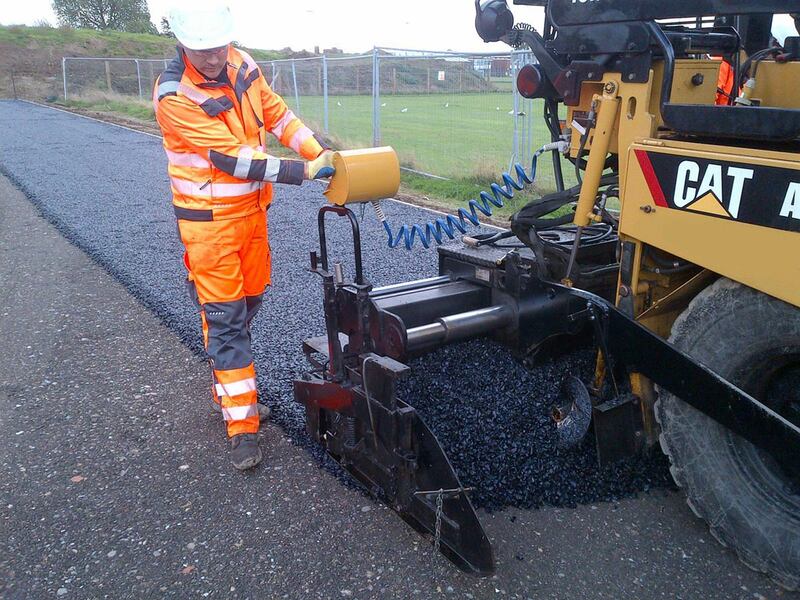 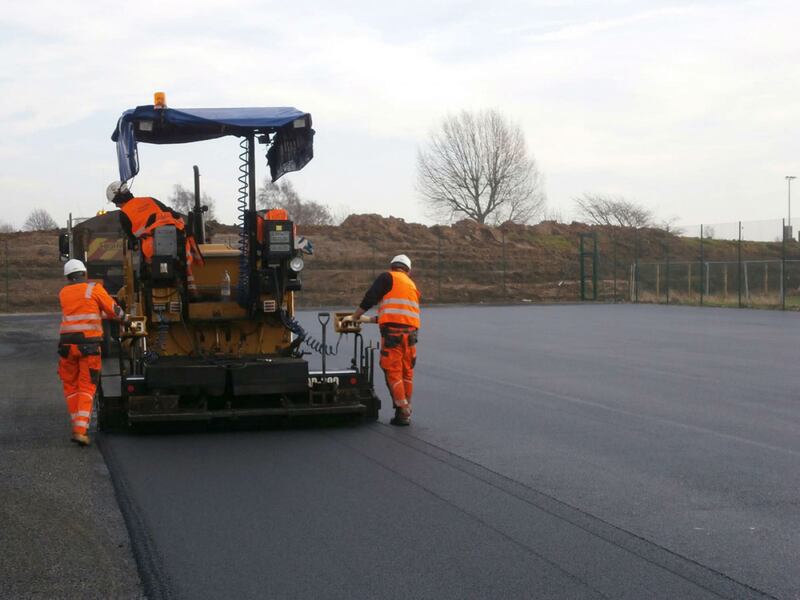 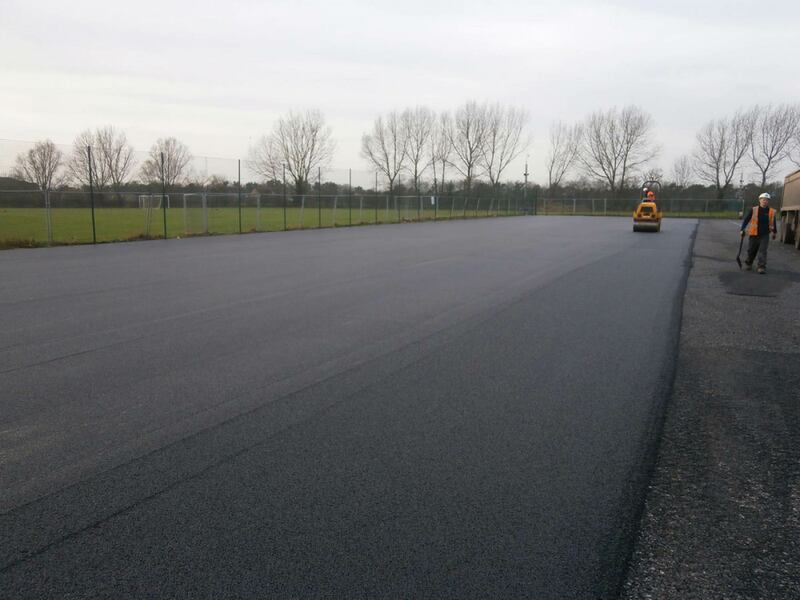 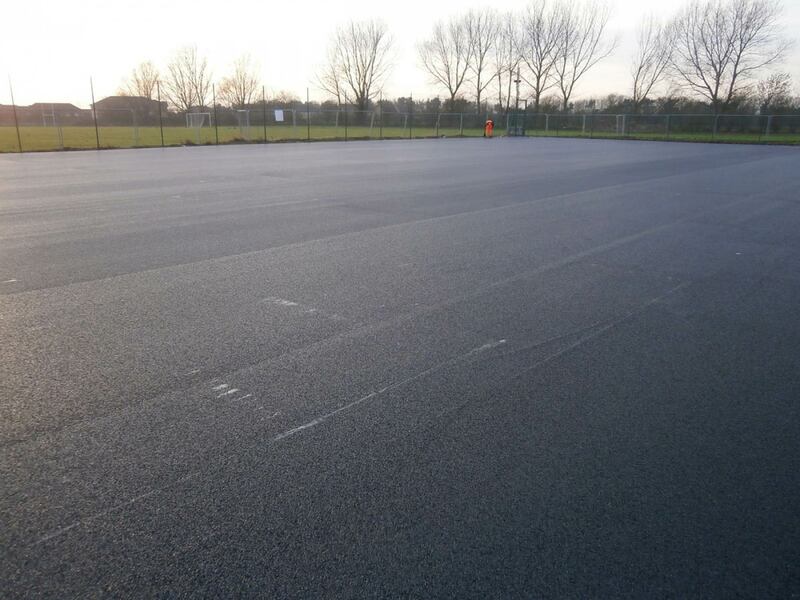 The surface was made in two layers, a 20mm porous tarmac base which was rolled and a 6mm porous tarmac top. 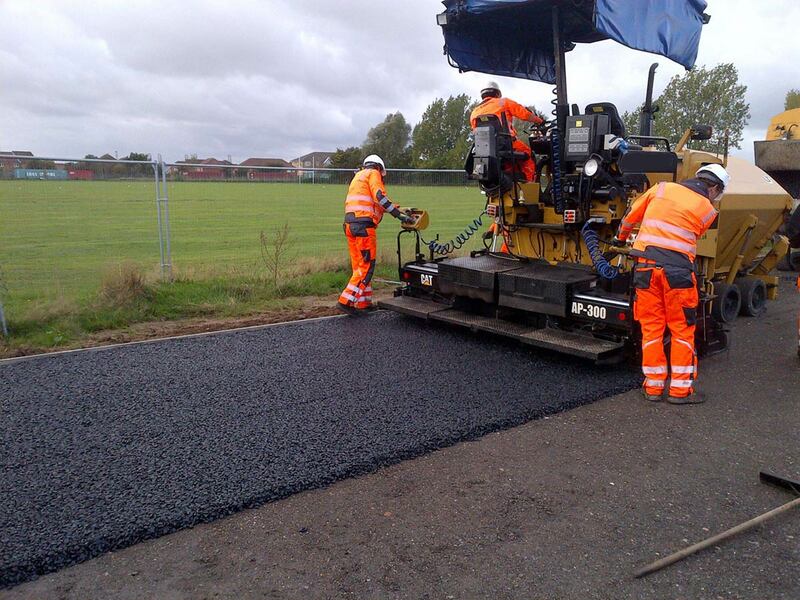 The topping was laid level with the previously installed kerb edging. 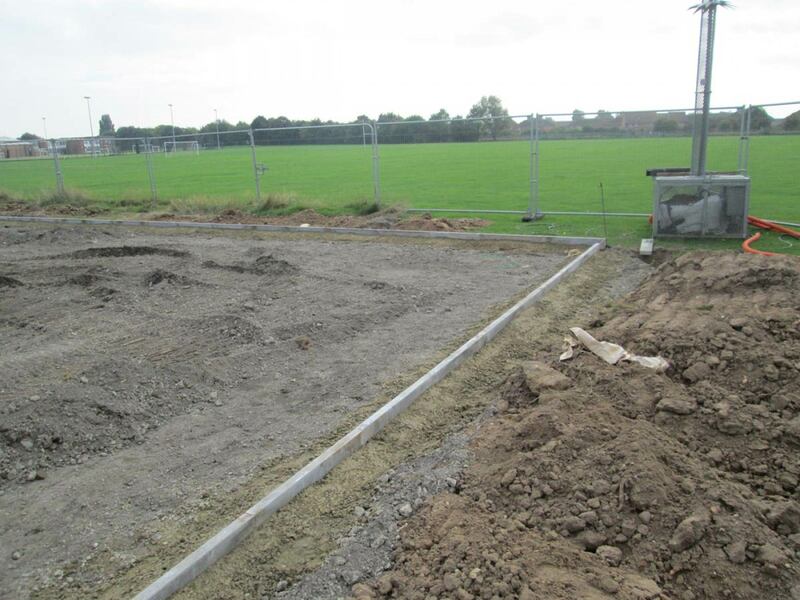 A 3m high weld mesh fence was erected and fitted with 3 double gates for machine access and 2 gates for pedestrian access.